Disclaimer: While I did the normal kind of hiking as a kid and a little bit more when I was stationed with US Air Force in Alaska in the 60’s, I still consider myself a novice when it comes to high altitude trekking and climbing. That said, I am certified in technical climbing by the Alaska Mountain Guides and Climbing School in Haines (photo above taken during training on 2000), I’ve trekked to the Mt. Everest Basecamp and the Summit of Mt. Kalapathar in Nepal in 2001, and reached the summit of Mt. 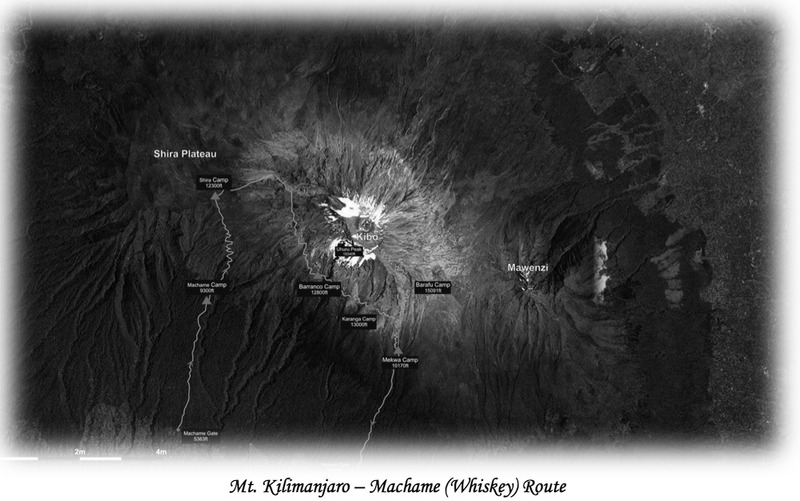 Kilimanjaro via the Machame route in 2006. 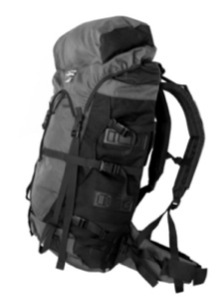 Currently I’m in training for a South American Andes trek this summer to Machu Picchu taking the Salkantay Mountain route with the great folks from International Mountain Guides (IMG). I’ve also done training hikes in Colorado and a couple up-and-downs on the misleadingly rugged Mt. Washington in New Hampshire. Yes, all that he said (perhaps not the pipe smoking part…) and more. One of the “and more” things for me are the leadership lessons that I observe each time I head off with a mountain guide. Whether it’s a leisurely hike on the Missouri Lakes Trail overlooking Beaver Creek, navigating a whiteout on the Davidson Glacier in Alaska, communing with yaks in the High Kumbu of Nepal, or crossing the Baranco Wall to the Karanga Valley in Tanzania, I pay close attention to the head guy…the leader…the boss…the guide…The Sherpa. And, yes, the true “Sherpa” is a member of an ethnic group that hails from the high mountains of Nepal—I had the pleasure of trusting in and learning from Ang Nima Sherpa while on the Mt. Everest adventure—but, for the purpose of this essay, I will refer to all guides as sherpas. Also, I’m going to pick Africa for this posting but the principals of leadership and the lessons learned apply to all of my trekking adventures. 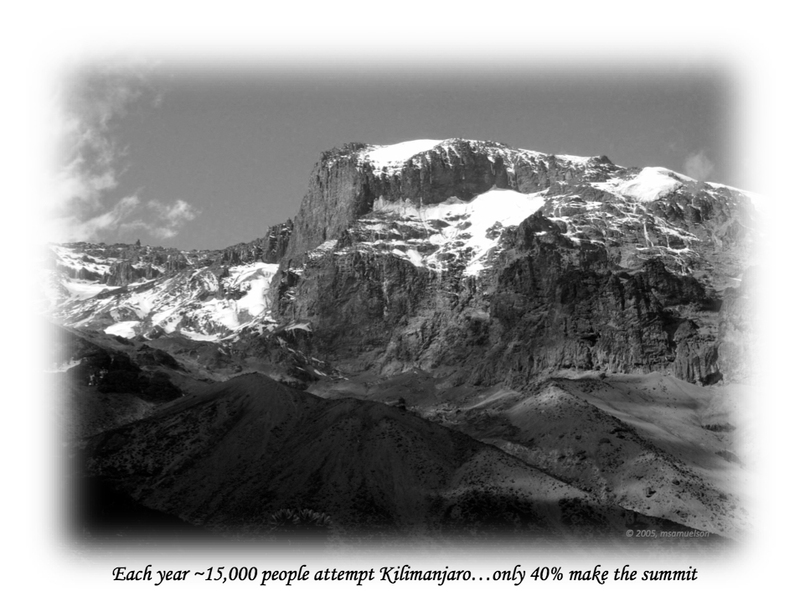 Riddle: Defying the odds, how do you get ALL twelve men and women ranging in age from 16 to 61, from diverse socio-economic-political-occupational-geographic backgrounds, to travel to Africa, trek to the 19,341’ summit of the highest free standing mountain in the world (that last foot is a killer) and—most important­—all return home safely to hike, trek and climb again? 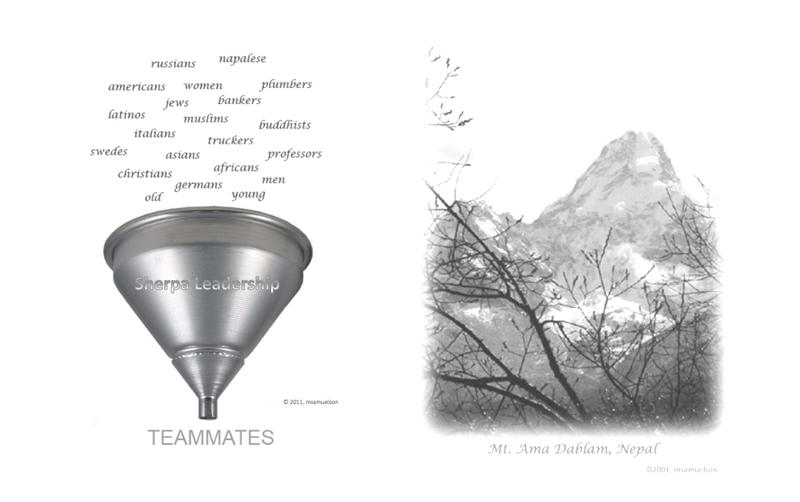 A good sherpa is agnostic when it comes to diversity. His leadership skills and success are not influenced by your religion, ethnicity, country of origin, occupation, age or gender. He doesn’t care…and neither does the mountain. The sherpa does care about the mission, your commitment, training, endurance, flexibility, whole-person health, integrity, humanity, humility, team spirit, heart, guts and soul. He is a blind integrator of cultural backgrounds and beliefs and the ultimate discriminator of ability, drive and determination. The mountain doesn’t care about any of this. Contrary to popular myths, mountains are not moved by your goals, aspirations, hopes, past history, future dreams, hardships, talents, money or even your integrity or humanity.